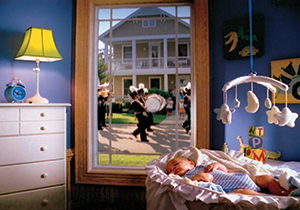 PGT® is the authority on impact-resistant windows and doors. Our expertise is founded from our collaboration with Miami-Dade County to establish testing protocols for impact-resistant products. As a result of this partnership, in 1996 PGT became the first manufacturer to offer a full-suite of impact-resistant windows and doors that are – to this day – among the strongest, safest, and most reliable products in the industry. 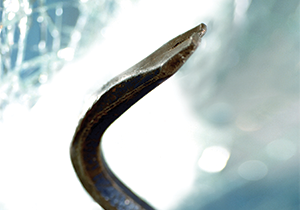 ‘Engineered to perform’ is a phrase we use a lot when we talk about our WinGuard® impact-resistant windows and doors. It’s also a phrase we say with confidence because these products are engineered to meet the toughest hurricane codes in the nation. And because we’ve seen them perform, both in our test lab and in the “real world”, where more than three million units have been installed and zero impact failures have been reported. The benefits of our flagship product line go beyond just hurricanes. WinGuard also protects against outside noise, break-ins, UV rays and high energy bills. With all these benefits, it’s easy to see why PGT WinGuard is the best-selling brand of impact-resistant windows and doors in America. You can have confidence in PGT® products. Our windows and doors are tested, relentlessly, to confirm that they meet the exacting standards of the industry’s most respected accredited organizations. These certifications are your guarantee of quality and your assurance that PGT stands behind the products we manufacture. PGT invests hundreds of hours testing our windows and doors to ensure that they will perform at their optimum level for many years to come. During a hurricane, flying debris can break the glass in regular windows and doors, resulting in wind and water damage inside your home. WinGuard Aluminum products can withstand repeated impact from a nine-pound 2’ by 4’ beam traveling at 34 miles per hour, followed by hurricane-force winds. Even if the glass is damaged, it will remain secure in its frame and continue to keep the elements outside. 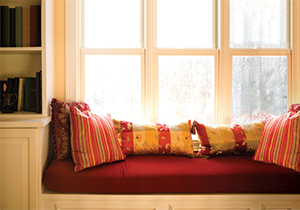 Constant exposure to the sun’s UV rays can dramatically fade your furnishings. The clear interlayer used in WinGuard Aluminum products filters 99% of these UV rays, helping your furniture, carpet, artwork and drapes retain their original beauty. Noise outside your home is often something you have little control over. However, with WinGuard Aluminum windows and doors, the laminated glass significantly reduces ambient noise by absorbing sound rather than transmitting it, which keeps outside disruptions where they belong. 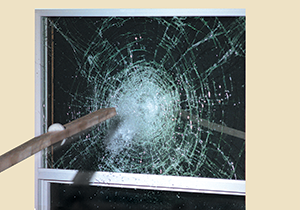 Breaking a window is the most common means of entry for an intruder. While non-impact resistant glass shatters easily upon contact and offers little resistance, the durable interlayer used in WinGuard Aluminum products will keep the glass in place and provide an additional barrier that deters intruders.